Boston, Massachusetts, U.S.A — February 20, 2019 — The most comprehensive plug-in collection on the market keeps getting better. Continuum 2019 (12.0.1) is a significant update to the award-winning product line from Boris FX. 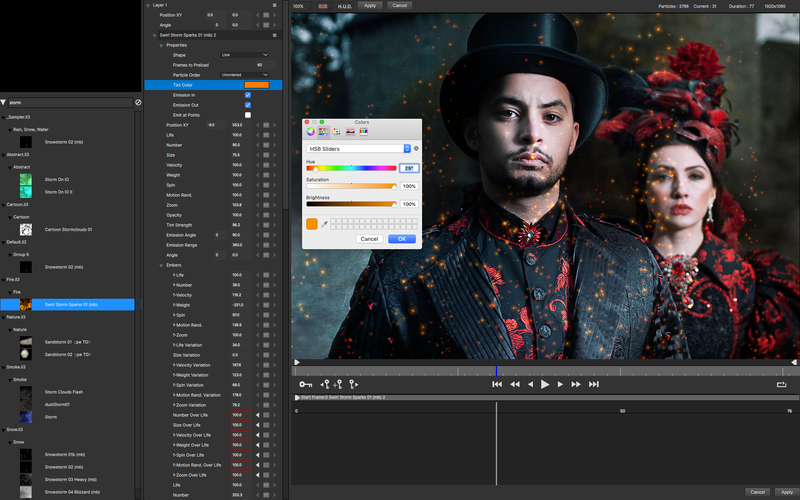 Editors and VFX artists already praising the addition of Continuum 2019’s new Particle Illusion real-time motion graphics generator can now produce high-end animations with far speedier results and design flexibility. 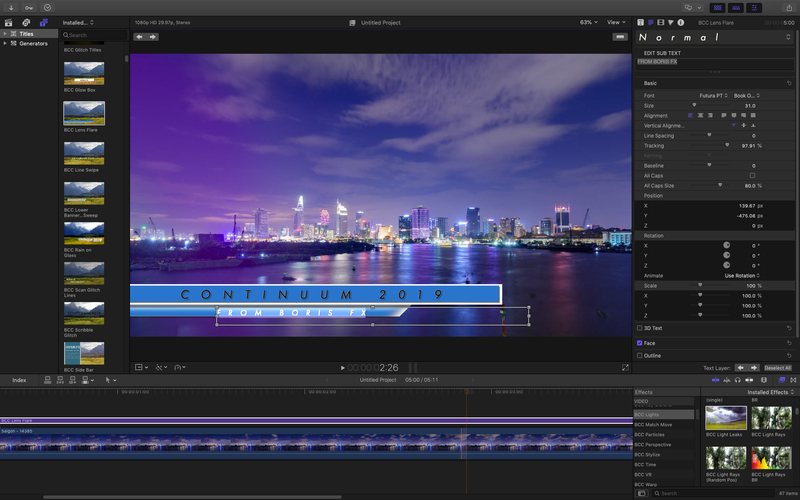 Continuum 2019 supports popular video host applications including Adobe After Effects CC and Adobe Premiere Pro CC, Apple FCP X and Motion 5, Avid Media Composer, and OFX hosts such as Blackmagic Design DaVinci Resolve and Magix VEGAS Pro. Full license, upgrade, and subscription options can be purchased through www.borisfx.com. Continuum 2019 is also available as seventeen individual effect category units. New licenses start at $199. Upgrades from previous versions start at $49.95.